Distinction by Rahab Jordan: Pray the Psalms Daily to Repent, Overcome, and Be Victorious! 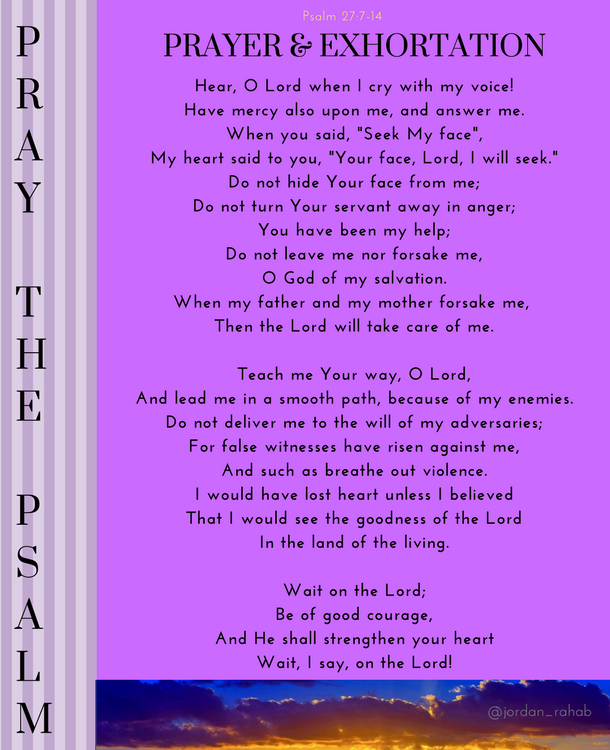 Pray the Psalms Daily to Repent, Overcome, and Be Victorious! When you are in a dark place of uncertainty when you don't know which way to go, be still, quiet your mind and pray the Psalm that speaks to your present state. No. This is not a hocus-pocus-wave-your-wand frame of thought. This is a demonstration of faith and loyalty to the Most High who challenges us to "try" Him. ---and see that He is faithful to His word. In fact, He watches over His word to see that it manifests exactly as it is written. And at the exact time to achieve perfect results. This is why "No weapon formed against you shall prosper..." (Isaiah 54:17) Who do you think makes sure Satan's devices against you comes to naught? Trust Yahuwah enough to pray His word. It's pure, untarnished power.